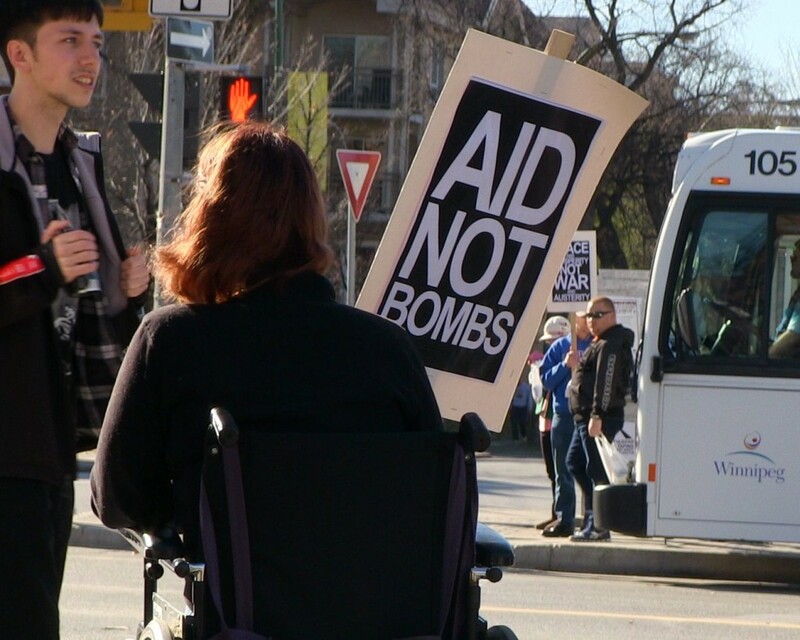 On Saturday, Oct. 25th, Peace Alliance Winnipeg held an information picket at the intersection of Osborne Street and River Avenue to call for an end to Canada’s bombing mission in Iraq and Syria. In doing so, PAW was joining with peace activists in several other Canadian cities who planned actions for the weekend of October 25th and 26th. That the Canadian government immediately cease deportation proceedings against U.S. Iraq war resisters and create, once and for all, a provision that would allow them to remain in Canada. Here is a video report of their remarks.